Playful jack-o-lantern holds tricks or treats for all the ghouls and goblins on your list. 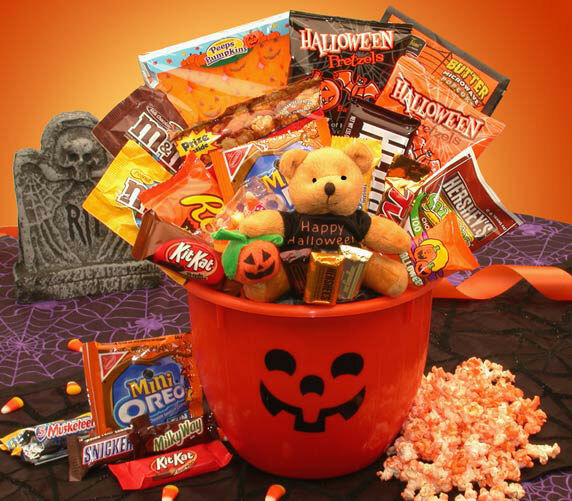 Our Tricks or treats Halloween Jack-O-Lantern includes candy, popcorn and a teddy bear Candy gift basket makes a great party favor. The Jack-o-lantern measures 8 inches in diameter x 9 inches high.